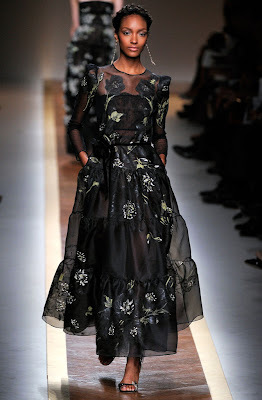 Victorian vintage best describes Valentino's ready-to-wear spring 2012 collection. 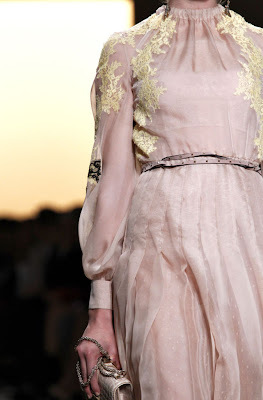 Lots of lace, chiffon, soft embroidery, pastels, long flowy dresses, blacks, and ofcourse the Valentino red. i want the second dress!! i love it!! 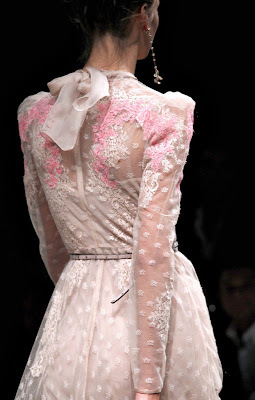 the lace, the color the details and the ribbon its just perfect! you've got great taste mashallah! Ilove the detail on that dress too!